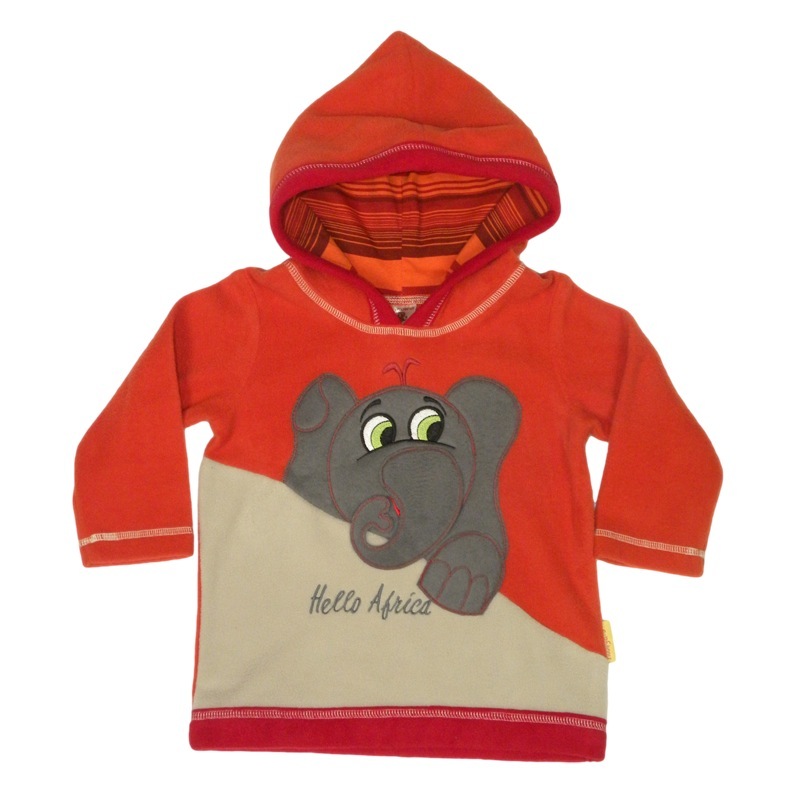 A super soft cuddle polar fleece hoodie in rich African colours of burnt orange, rusty red and sandy beige. 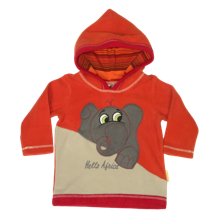 An inquisitive elephant with a flapping trunk adds a sense of fun. The hood is fully lined with contrasting striped 100% cotton fabric and will be a great addition to welcome autumn and bring colour into winter!